We offer *FREE DELIVERY on orders over £200 to all UK mainland postcodes. If you live outside the UK Mainland there will be an additional charge for delivery, your Account Manager will inform you of these costs. For our online customers if you see the message “Call for Price” at the checkout stage please phone our team on 01291 634145 and we will be happy to calculate the delivery costs and complete the order process for you. 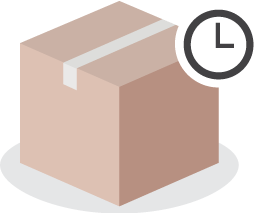 If you would like to arrange a delivery before 12pm next day, the surcharge is £10 + VAT. If you would like to arrange your delivery for Saturday, there is a surcharge of £20 + VAT. 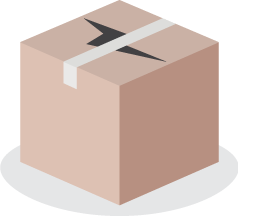 Orders are sent via third party Parcel or Pallet couriers depending on the size and weight of the products purchased. Please be aware that orders below our free delivery threshold of £200 will carry a standard delivery charge, your account manager will inform you of the costs. If ordering online the price will be shown when you ‘checkout’. 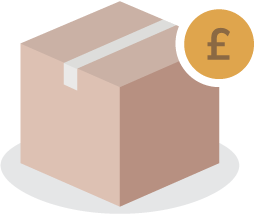 *There will be an additional charge of £40+VAT for pallet deliveries if your delivery location will not allow access to a 40-ton truck as the hire of a separate vehicle will be required to deliver your order successfully. At Wunda we know how important it is to get your order to you quickly. For most areas in the UK mainland if you place your order before 6.00pm we will deliver it to you the next working day however there are a few exceptions. It will take 48 hours to arrange delivery to some parts of Northern Scotland. Delivery to non-mainland UK will take 2-7 days depending on your location. Orders placed on Friday before 6pm will be delivered on Monday. Orders placed after 6pm on Friday and at the weekend, will be delivered on Tuesday. We can deliver your order on Saturdays (Additional charge of £20 + VAT). For online customers, this option will be available at the checkout stage. Our delivery team will contact you on the day of delivery and give you a 2-hour window in which your order will be delivered. If you require any further information, please do not hesitate to contact our team on 01656 664 293. It is the customers’ responsibility to prepare a safe environment for the delivery of the goods. 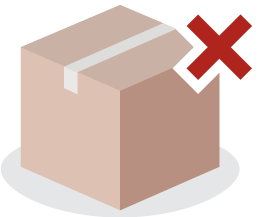 If the location is deemed to be ‘unsafe to complete the delivery’ then our couriers reserve the right to refuse to deliver. In this event or in the event you (or your representative) are not available to receive the goods, there may be a re-delivery charge applied by the transport company which will be passed on to the customer and this must be paid before delivery will take place. All deliveries have to be signed for as proof of receipt. 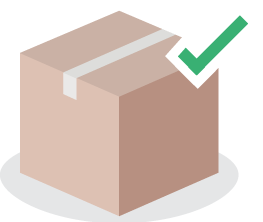 If your delivery location is serviced by a single track road or, will not allow a 40-ton truck access, then you must inform us, otherwise normal delivery will not be possible and there will be an additional charge of £40+VAT applied to the delivery as we will have to hire a separate vehicle to ensure a successful delivery. All products are thoroughly checked, suitably packaged and leave Wunda Trade premises in good condition if you are not satisfied with the condition of the goods on arrival DO NOT ACCEPT delivery, and take photos of the condition of the delivery. Immediately notify Wunda Trade by calling 01656 664 293. In the unfortunate event a product develops a fault, please contact Wunda Trade on 01291 634145 with your customer reference number. 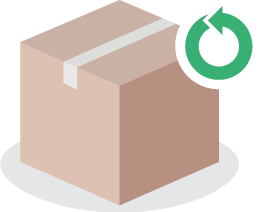 (b) Returned goods must be in original, complete and saleable condition with NO LABELS stuck on them and suitable packaging used for their transport with the returns number on the outer packaging. Customers are liable for sending the items back and all refunds are at the total discretion of the seller. Please note without exception goods will NOT be accepted back after 28 days and all returns are issued as a credit note. Please notify the Sales Office on 01291 634145 of unwanted items within the 7 day statutory cancellation period. Customers are liable for the goods satisfactory return to Wunda Group PLC and refunds are issued as set out in Clause 8.1(b) of our Terms and Conditions.